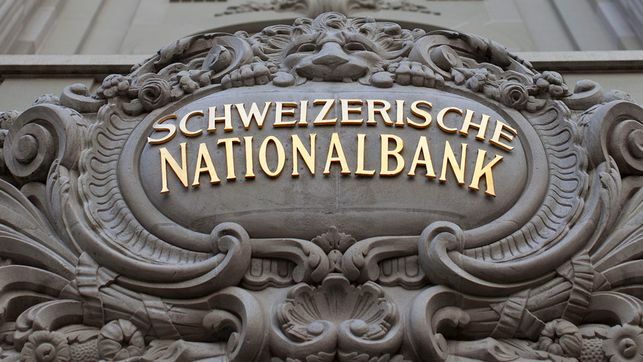 The Swiss National Bank (SNB) reports a profit of CHF 24.5 billion for the year 2016 (2015: loss of CHF 23.3 billion). 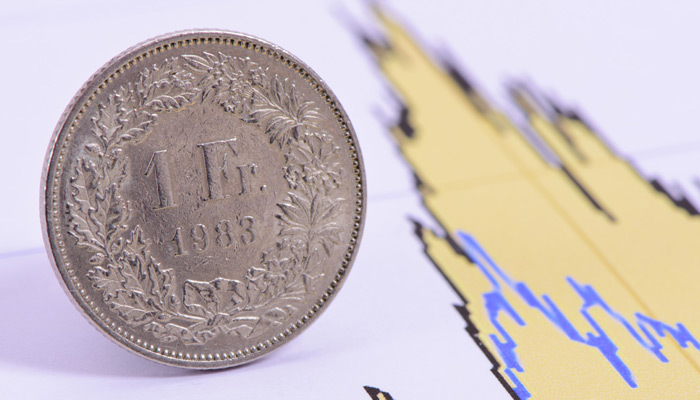 The profit on foreign currency positions amounted to CHF 19.4 billion. 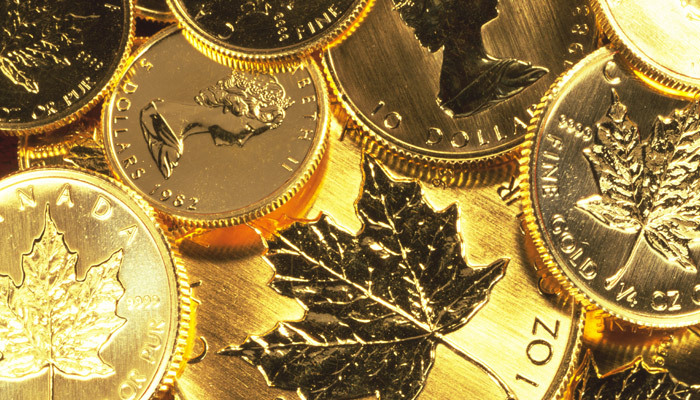 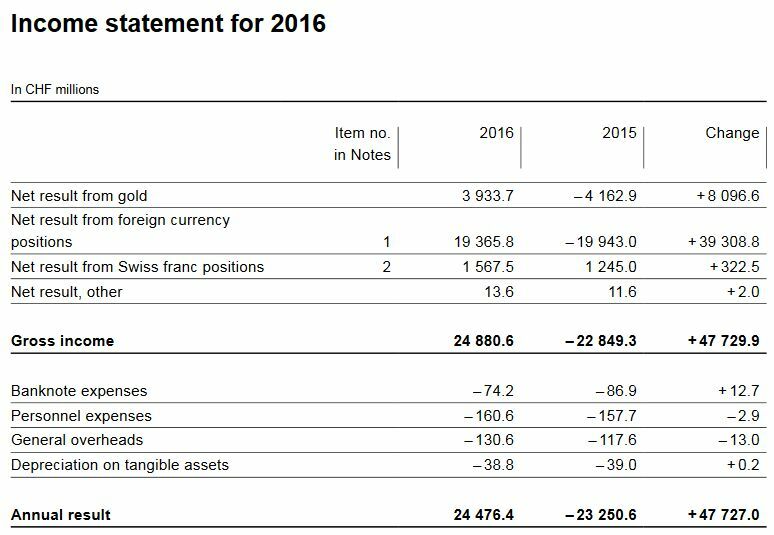 A valuation gain of CHF 3.9 billion was recorded on gold holdings. 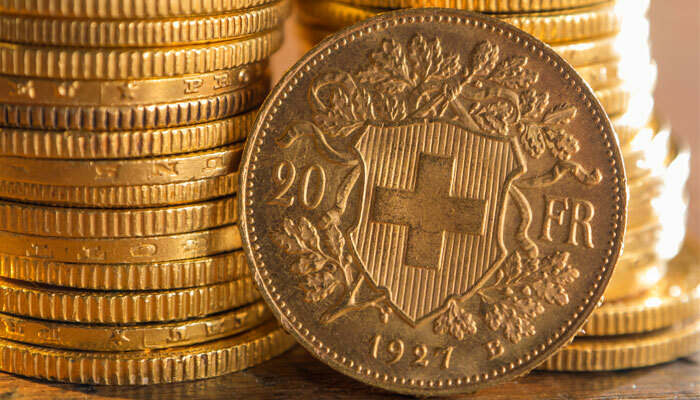 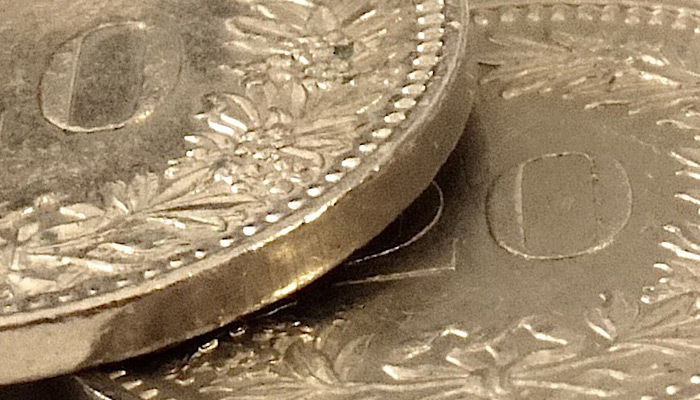 The profit on Swiss franc positions was CHF 1.6 billion. 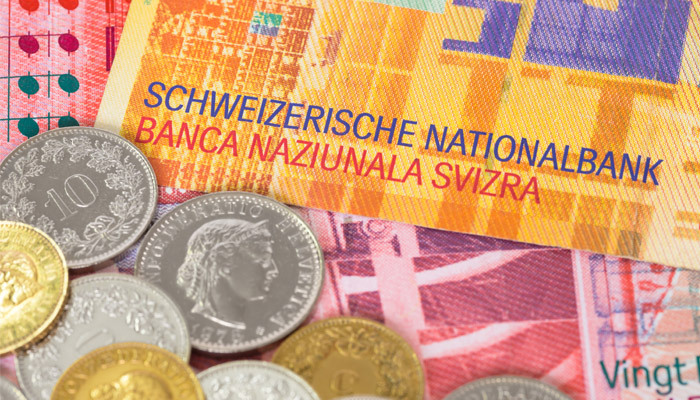 For the financial year just ended, the SNB has set the allocation to the provisions for currency reserves at CHF 4.6 billion. 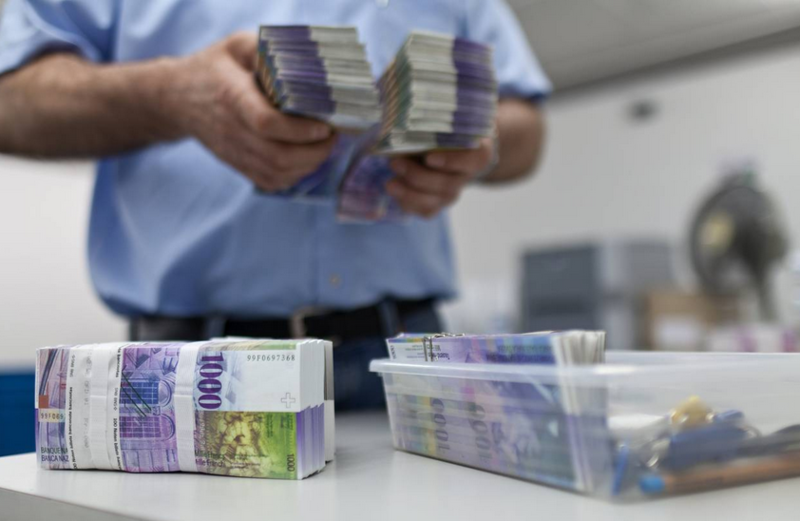 After taking into account the distribution reserve of CHF 1.9 billion, net profit comes to CHF 21.7 billion. 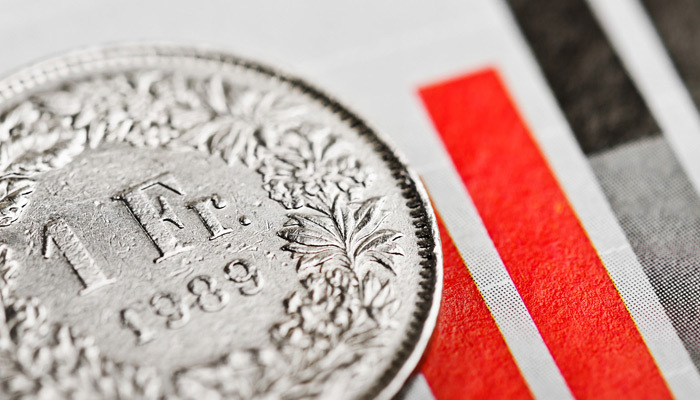 This will allow a dividend payment of CHF 15 per share, which corresponds to the legally stipulated maximum amount, as well as a profit distribution to the Confederation and the cantons of CHF 1 billion. 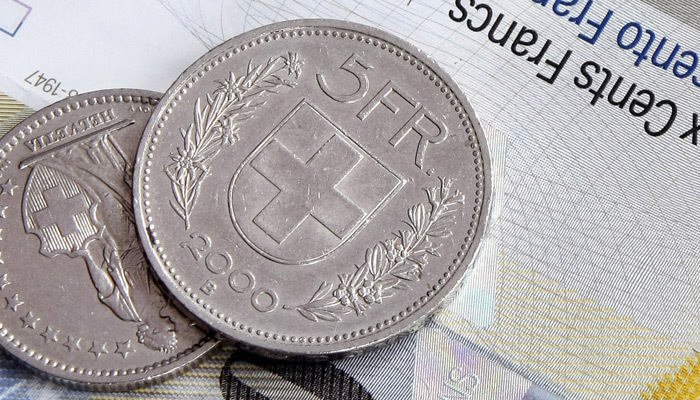 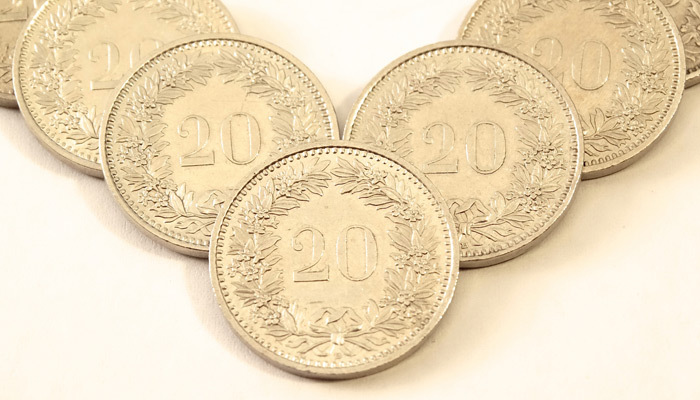 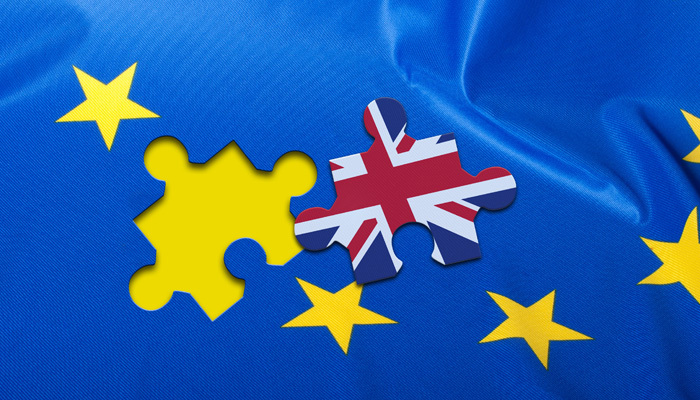 The Confederation and the cantons are also entitled to a supplementary distribution of a maximum of CHF 1 billion if the distribution reserve after appropriation of profit exceeds CHF 20 billion. 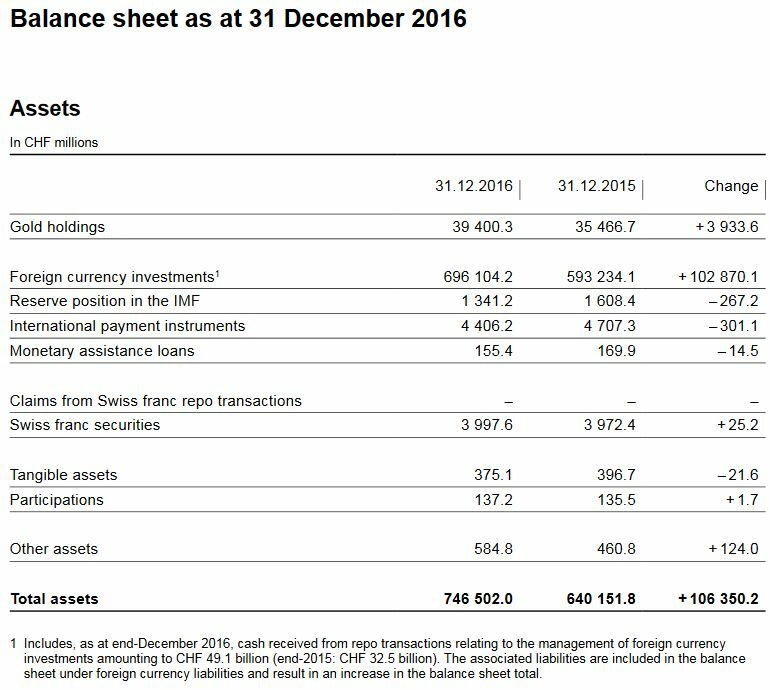 The net profit for 2016 allows a supplementary distribution of CHF 0.7 billion. 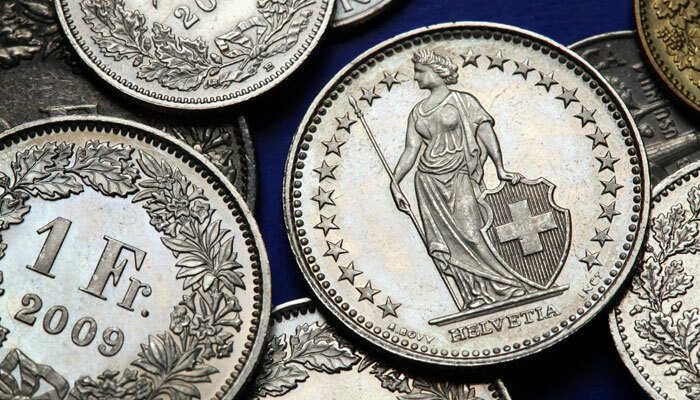 One-third of the total distribution is allocated to the Confederation and two-thirds to the cantons. 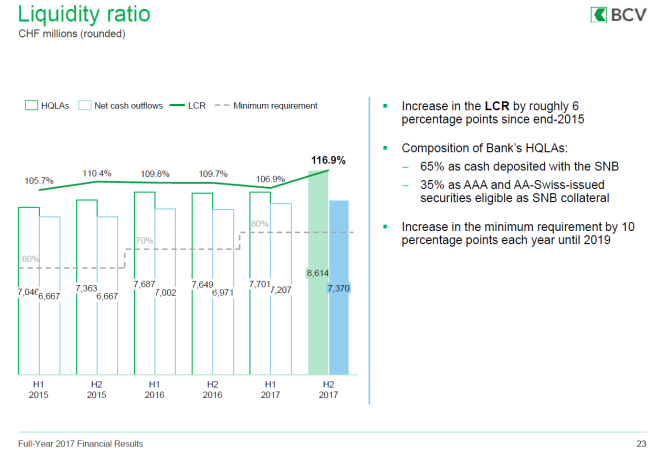 After these payments, the distribution reserve will amount to CHF 20 billion. 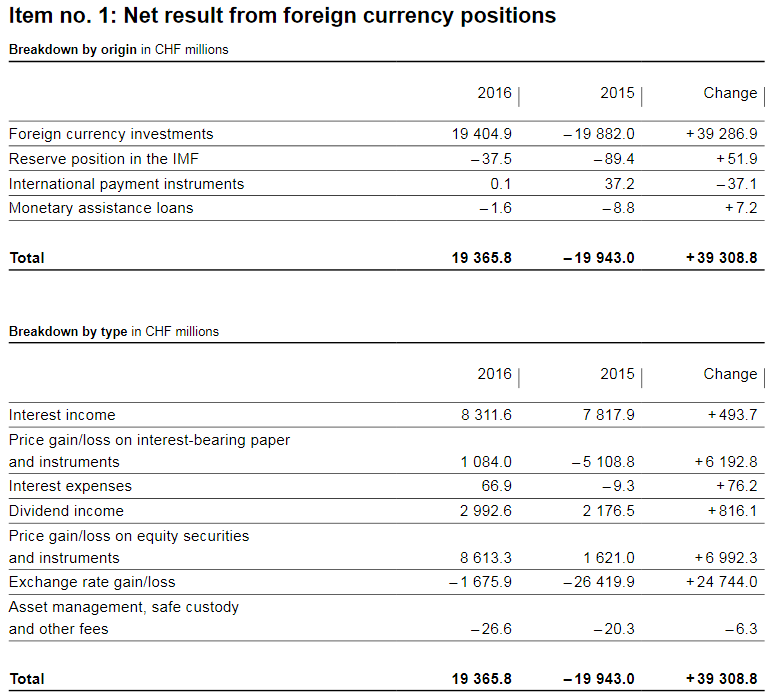 The profit on foreign currency positions was CHF 19.4 billion (2015: loss of CHF 19.9 billion). 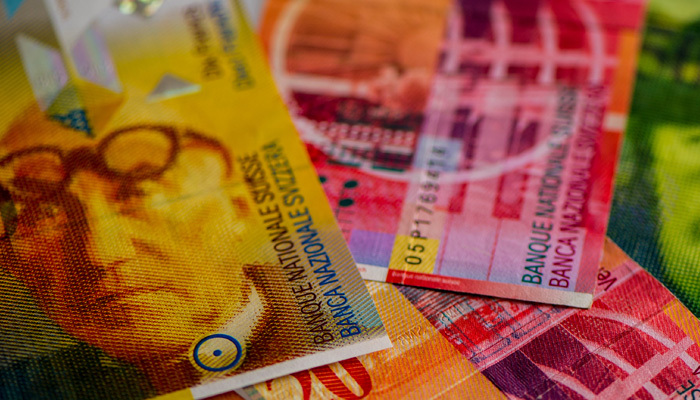 Interest income amounted to CHF 8.3 billion and dividend income to CHF 3.0 billion. 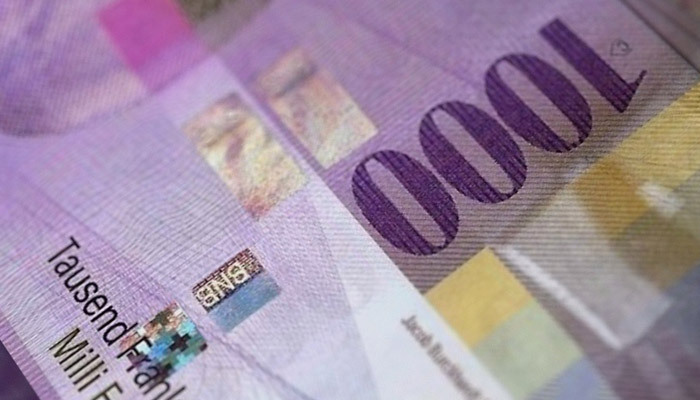 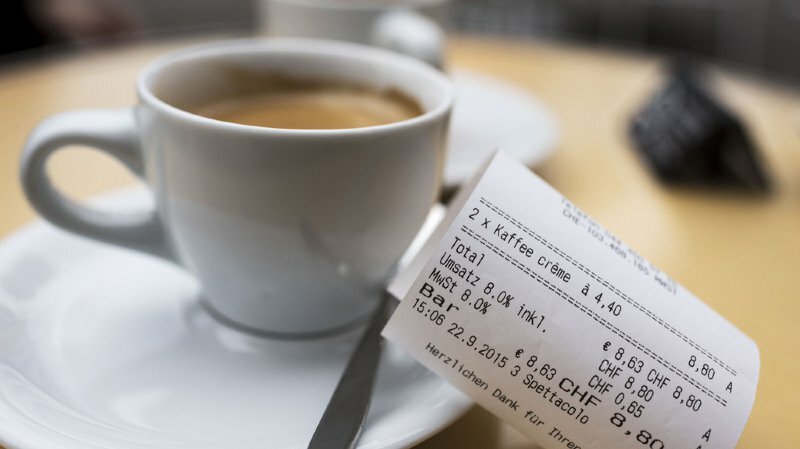 Price gains of CHF 1.1 billion were recorded on interest-bearing paper and instruments. 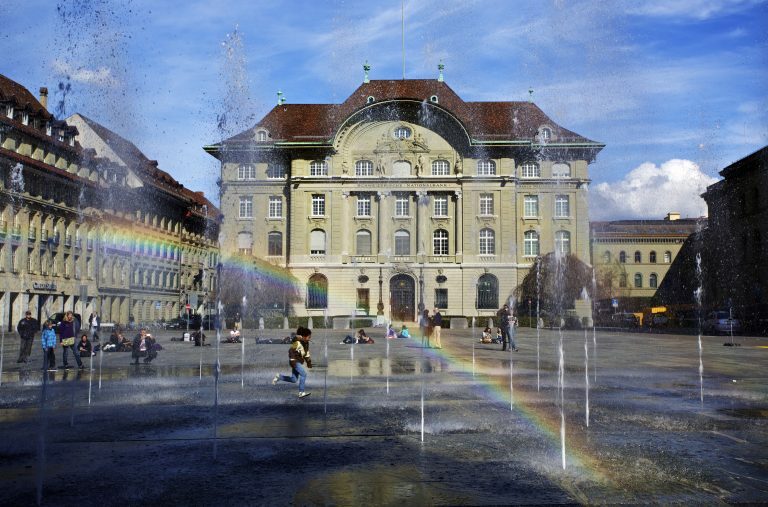 Equity securities and instruments benefited from the favourable stock market environment and contributed CHF 8.6 billion to the net result. 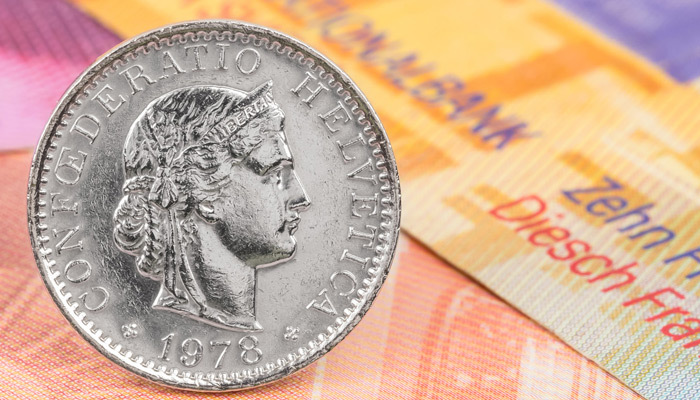 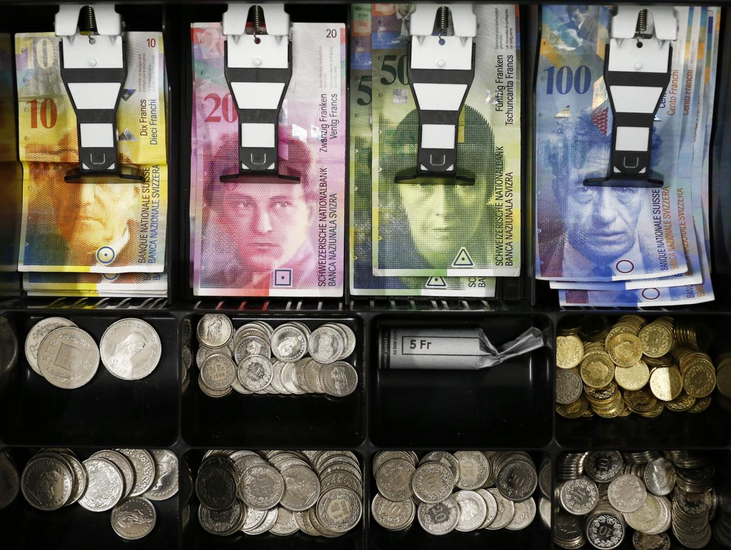 Overall, exchange rate-related losses amounted to CHF 1.7 billion. 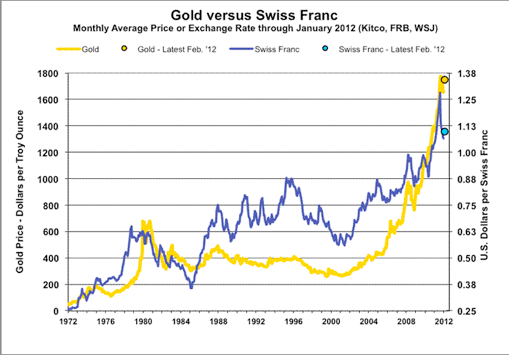 At CHF 37,885 per kilogram, the price of gold was 11% higher than at the end of 2015 (CHF 34,103). 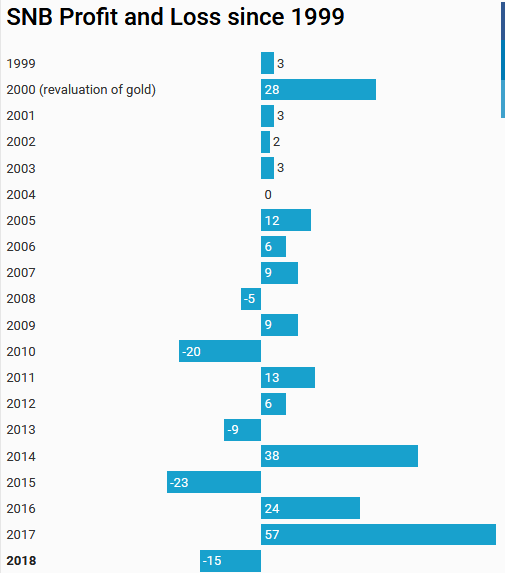 This gave rise to a valuation gain of CHF 3.9 billion on the unchanged holdings of 1,040 tonnes of gold (2015: loss of CHF 4.2 billion). 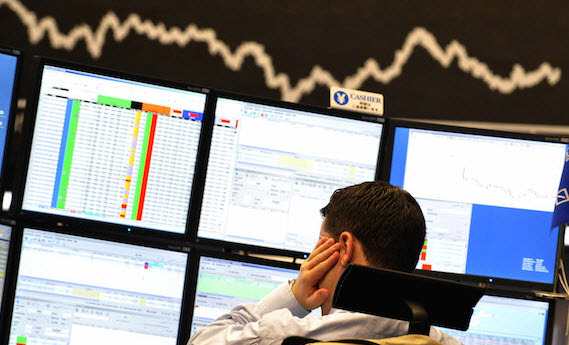 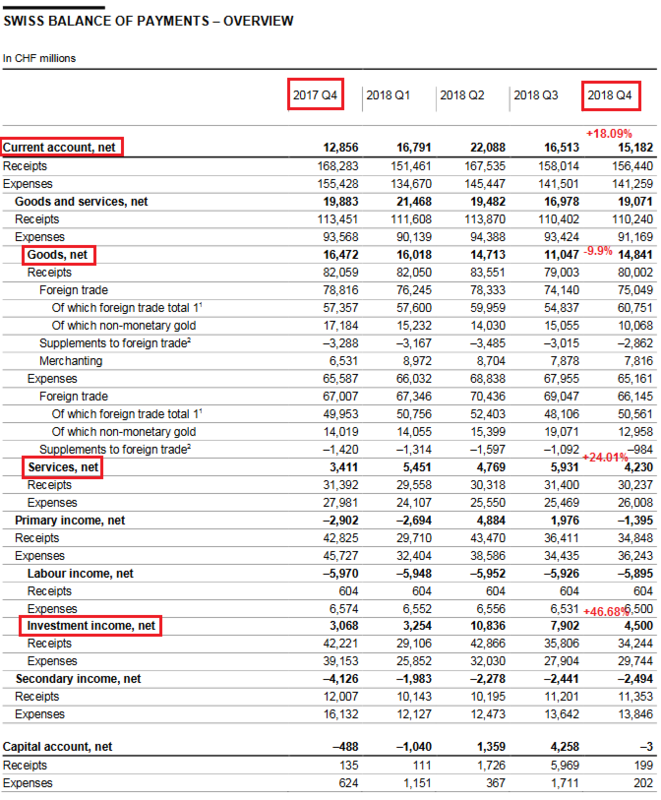 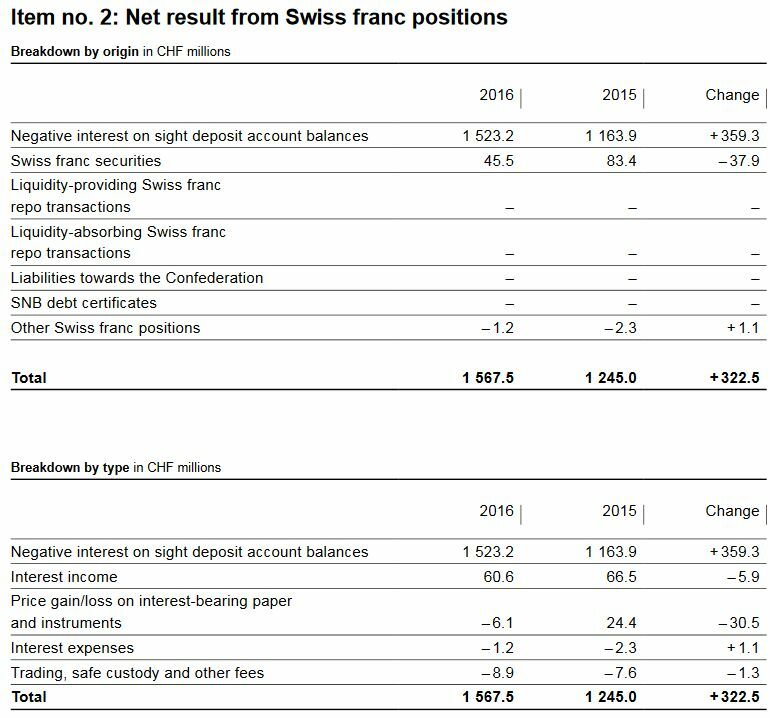 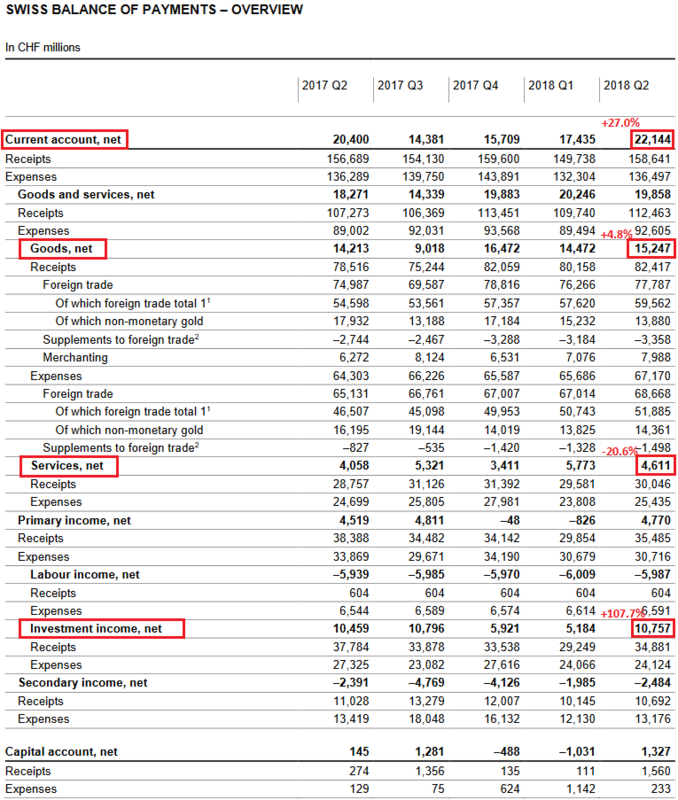 The profit on Swiss franc positions, which amounted to CHF 1.6 billion (2015: CHF 1.2 billion), essentially comprised CHF 1.5 billion arising from the negative interest on sight deposit account balances which has been charged for the first full calendar year since its introduction on 22 January 2015. 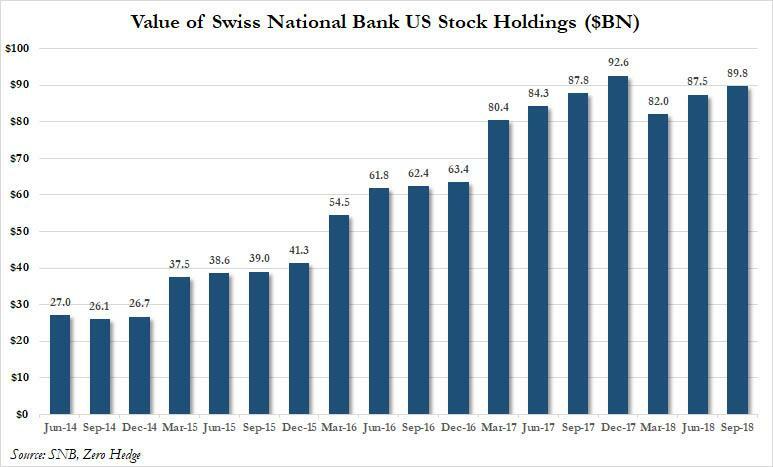 Furthermore, the SNB harms the Swiss economy, when it reduces the profits of Swiss banks by negative interest rates. 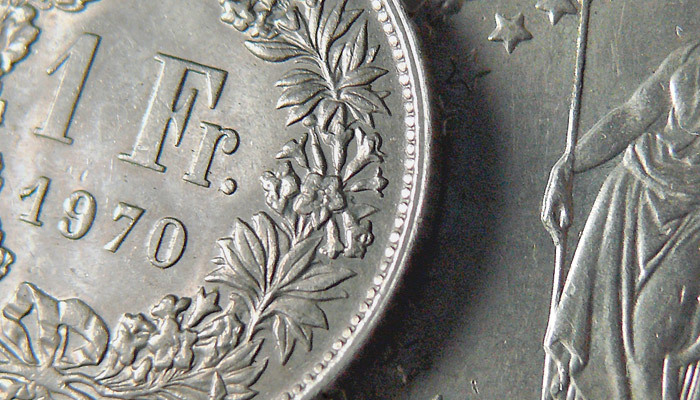 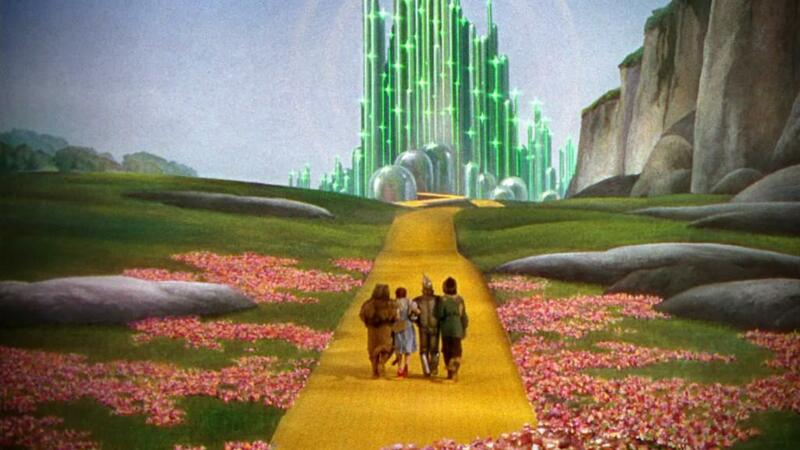 But with this measure she maintains her own profitability. 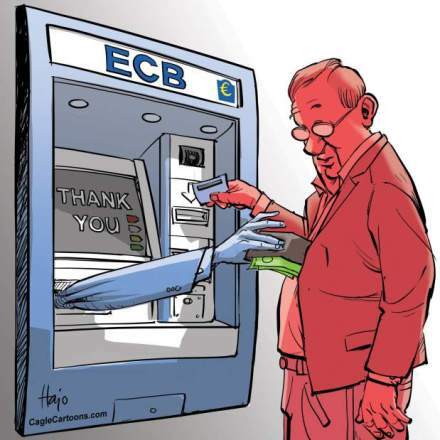 The old form of a printing press, today a less important form of central bank interventions. 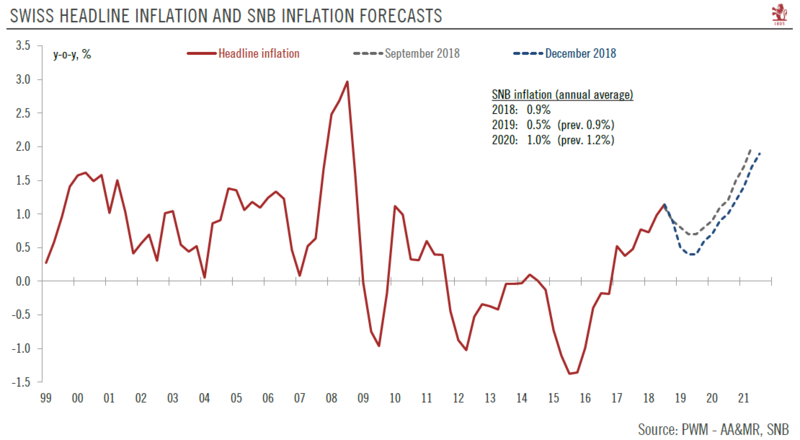 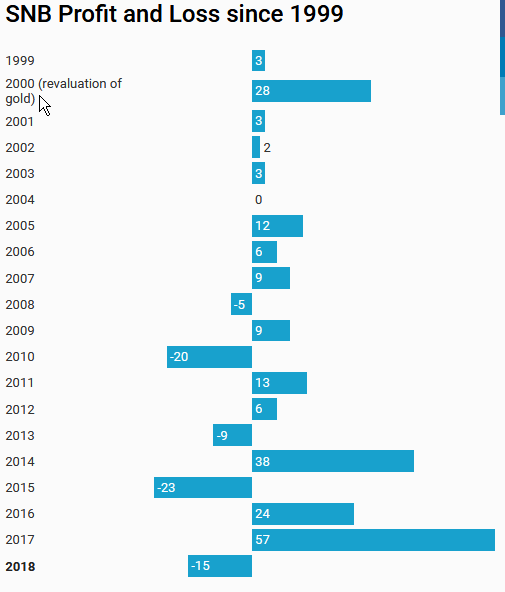 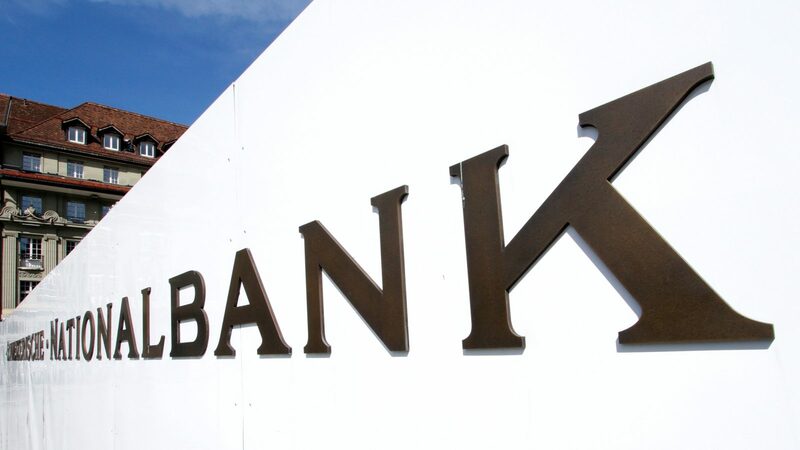 In its annual review, the SNB decided to amend the rule governing the allocation to the provisions for currency reserves, given the high market risks present in its balance sheet. 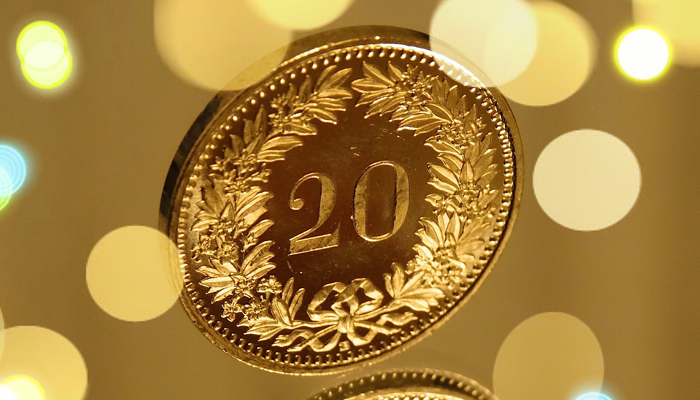 This amendment will be applied for the first time in the 2016 financial year. 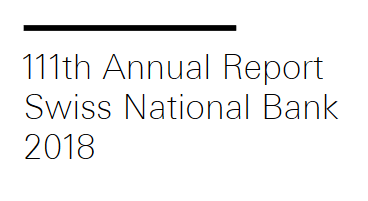 The percentage increase in provisions will continue to be calculated on the basis of double the average nominal GDP growth rate for the previous five years. 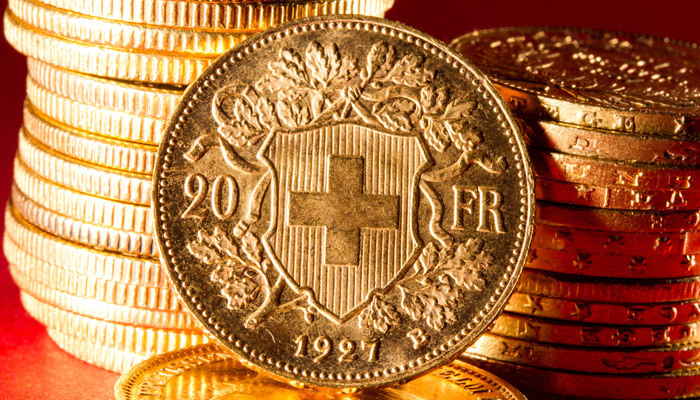 However, a minimum annual allocation of 8% of the provisions at the end of the previous year will now also apply. 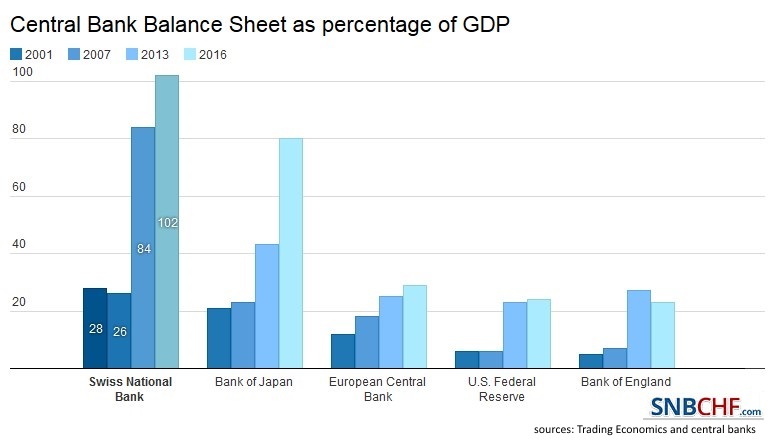 This is aimed at ensuring that sufficient allocations are made to the provisions and the balance sheet is further strengthened even in periods of low nominal GDP growth. 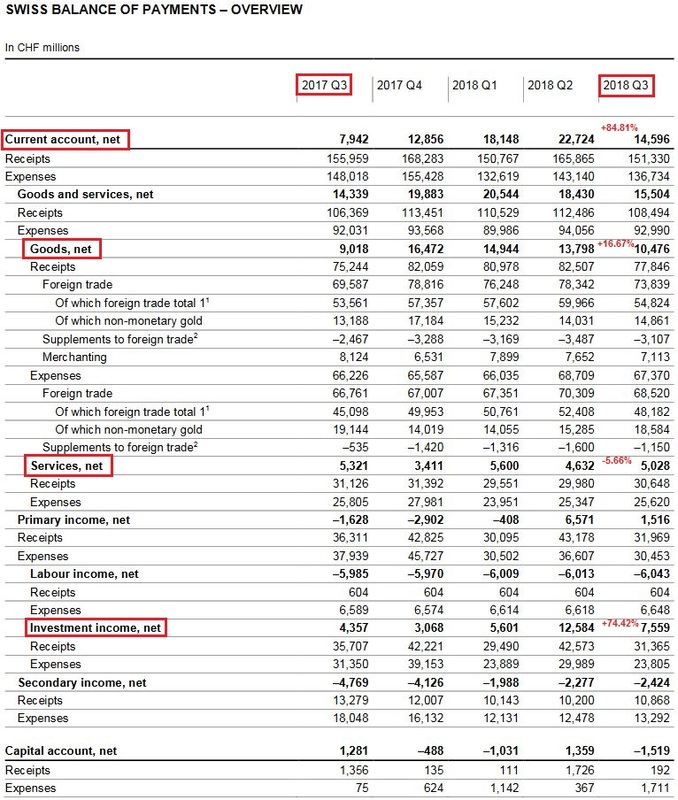 Since nominal GDP growth over the last five years has averaged just 1.9%, the minimum rate of 8% will be applied for the 2016 financial year. 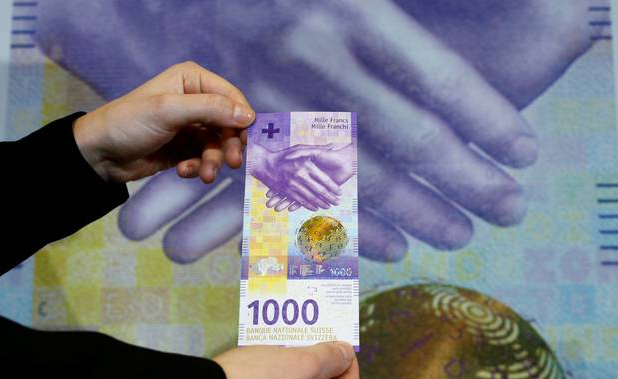 This corresponds to an allocation of CHF 4.6 billion (2015: CHF 1.4 billion). 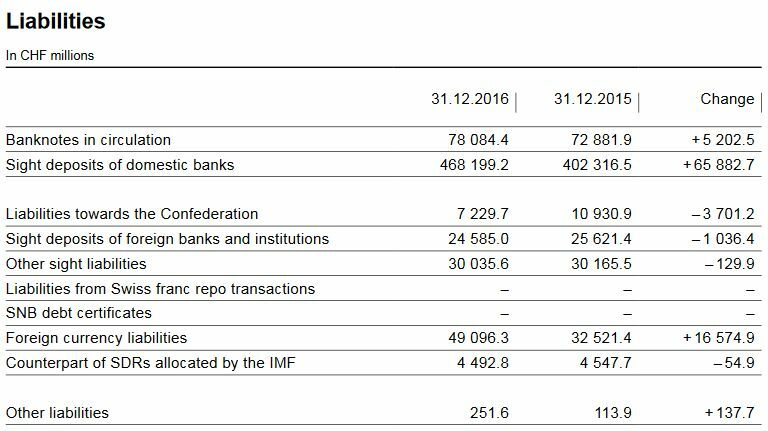 As a result, the provisions for currency reserves will grow from CHF 58.1 billion to CHF 62.8 billion.